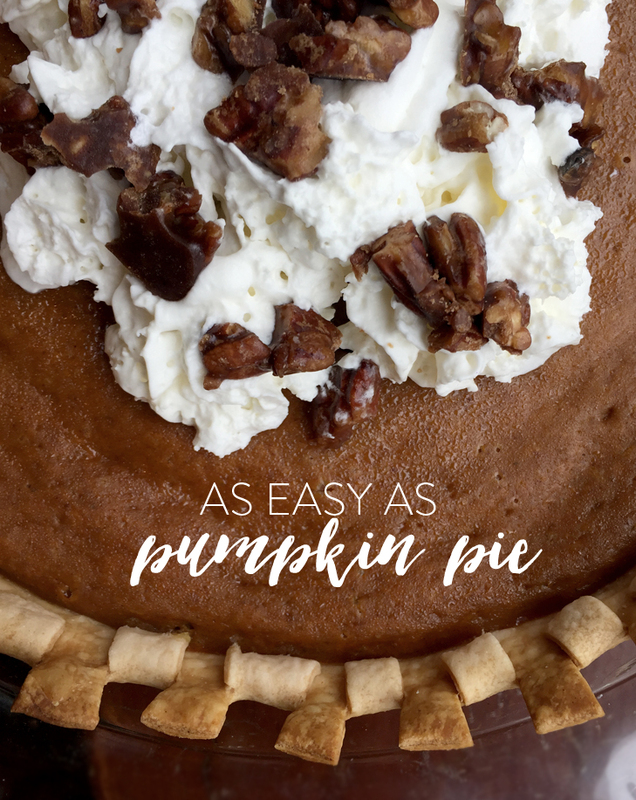 Anyone can bake a pie, and if you’re just starting out, a pumpkin pie is a perfect place to start! The ingredients are simple and little tweaks can make it better than the store bought version! Set your over to 425 F and take your chilled dough out of the fridge. I like to grease my pie plate but if you forget your pie will still come out nicely (there’s fat in the crust). Now crimp your edges and put the pie crust back in the fridge. Now mix together your pumpkin puree, sweetened condensed milk, egg and spices until smooth. It’s my personal pie making philosophy that you can taste fresh nutmeg and I put it in almost all of my pies. Just a dash will do and it’ll make all the difference! Next pour your mixture into your chilled crust and pop into the oven for 15 minutes. Lower your temp to 350 and cook for another 45. I usually put on a pie shield on my crust now (you can also just use aluminum foil!). When cooked, the center should still be slightly jiggly (technical term). Now turn the oven off and let the pie cool slowly. This will help any cracks from forming on the top. 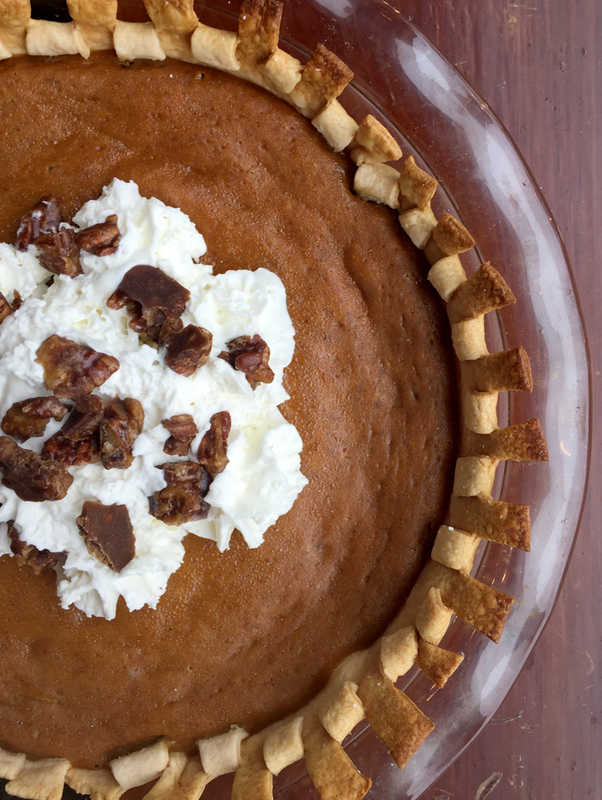 Once your pie has completely cooled, you can top with freshly made whipped cream. That’s just heavy whipping cream and a little powdered sugar beat on high until stiff. If it starts clumping together you’ve gone too far and made butter, so keep an eye on it! In these pictures I was low on time so I just used store bought whipped cream, which is fine too! I also like to top with candied pecans which are just melted butter, brown sugar and chopped pecans. See! You can make a pie! And it’ll be delicious! Happy Thanksgiving everyone!